Thanks you for visiting our homepage. 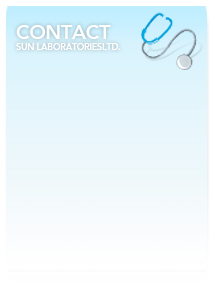 If you have any question or opinion regarding Sun Laboratories Co., Ltd. or our products, you may tell us by telephone, facsimile or e-mail. We will serve wholeheartedly for you.